Some people in sales fail to understand the interrelationship between engagement and productivity. Or they aren’t aware that just because someone is productive doesn’t mean they’re engaged and vice versa. Consequently, this primer explaining these things and how you can improve both engagement and productivity for individual reps and your sales team as a whole. There’s a definite causal relationship between the engagement and productivity – Gallup found that organizations with highly engaged employees are 21% more productive. Clearly, you need both to succeed. To further illustrate, let’s present two hypothetical employees – one who is engaged, but not productive and one who is productive, but not engaged. Mike is engaged. He loves coming into work every day and is often the first person in and the last person out. During meetings, he always has ideas to share. He’s congenial, has strong relationships with his coworkers even outside of work, and attends every function and training event on offer. But his productivity is much lower than one would expect for his level of engagement, leading his manager to silently start asking themselves whether Mike is really worth the investment. Laura is productive. Like clockwork, she arrives on time and produces amazing results – her KPI metrics are off the charts and she’s one of the team’s top performers. Diligent and hardworking, on paper, she’s everyone’s dream employee. But while she’s friendly with colleagues, she rarely tries to connect with them, and most people have little idea what she does when she’s not working. Nor does she propose new ideas or seem interested in the company’s vision and direction. Her manager is thankful every day for her productivity but has the nagging sense she’ll move on soon. Worse still – this emotional detachment also puts Laura at risk for an eventual drop in productivity. Let’s say you have employees who fit either the Mike or Laura model. How do you go about correcting it? Mike is an easier solution for many sales managers to deal with. He’s already bought into being on the team, so it’s important to set productivity benchmarks and goals – such as specific KPI requirements or sales targets. You’ll also need to develop the Mikes properly – diagnose why their productivity is too low (Spoiler Alert: It’s frequent linked to selling behaviors) and then help them change their behaviors through a combination of training and coaching reinforcement. Some other methods to get to know your sales staff and their values and motivations better include asking what they did for fun last weekend, talking to them about their career goals, and being interested in their upcoming vacation plans. These are all ideas that can be brought up organically in conversation and are neutral, work-safe topics that still give you valuable information and insight. The examples we’ve given above are on the individual, micro level. Obviously, you want to both prevent these isolated cases from occurring and enhance engagement and productivity for your entire salesforce. To do that, have a clearly defined, formal sales process with established measurements, goals, and a consistent coaching and training schedule that makes sense for your vertical to promote productivity. 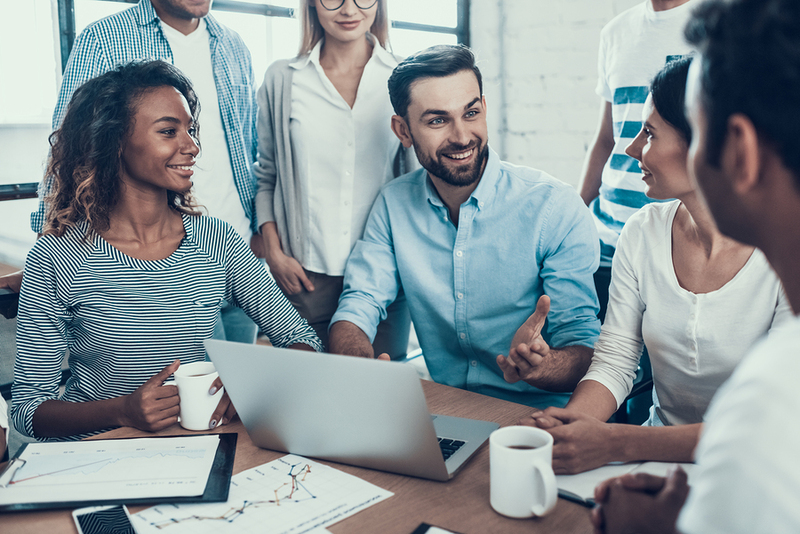 For engagement, foster a collaborative culture and communication – possible options include in terms of workspace, duties (team-based selling is a strategy here), mentoring programs, and surveys to find out what employees want. If your company is large enough, you might have communal eating and recreation areas to foster organic relationships between coworkers. Company-wide outings and team-building exercises can also fit the culture of some businesses. What specific engagement approaches work best are going to depend on your organization’s values, culture, and temperament – both on an overarching mission statement and selling philosophy level and from the perspective of the collective individual personalities and tastes of your team members. Engagement has a positive impact on productivity. Top-performing organizations put processes in place to ensure both elements operate at high level among their workforce. Careful assessment of the nature of your staff and business goals will allow you to devise and implement the programs that lead to an engaged, productive, happy team.